Jackie Barrow is a mixed beef and sheep farmer from Somerset, England. This traditional farm in South West England is ran by Jackie and her husband Keith along with the help of their two sons, George and Dave. George is mainly responsible for the farm’s arable, while Dave sees to land maintenance. Jackie is also very grateful to be in partnership with her in-laws who although retired from the family farm are still active advice givers. All in all, there is a real family dynamic at work on this farm in Somerset. Earlier this year, eager to improve her farm management Jackie downloaded Herdwatch and it has become a vital part of her farm management ever since. At a time when, she had just bought animals with the intention of selling them between September and March. 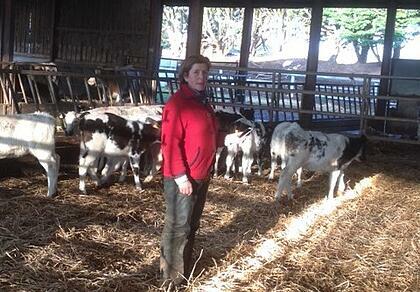 She relied on Herdwatch to quickly manage her herd. 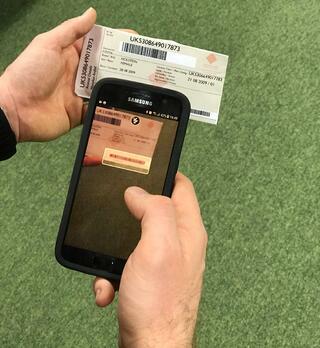 In Herdwatch you can register ON and OFF movements by simply scanning the bar-code on the animal's passport. In Somerset, Jackie is running a large beef finishing enterprise in association with McDonalds on their sustainable beef network scheme. Recording medication and treatments is vital for this partnership. Herdwatch allows Jackie to easily monitor her medication. The Farm medicine scanner allows her to record treatments on the go. 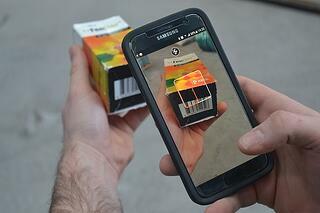 By simply scanning the barcode from the camera on your smartphone. Herdwatch can recognise each Barcode and knows what medicine it is and what its corresponding VMD number is. Herdwatch will also keep track of how much medicine you have used so you know what’s in your medicine cabinet at all times. Jackie has the peace of mind knowing all her medicine is recorded and her farm is fully compliant at all times. The beauty of Herdwatch is that it can work fully offline. No internet connectivity is required to record medicine or feed purchases for example. Instead your records will be kept and will automatically sync when you next have an internet connection or Wifi. "All the data I need is on my phone in my pocket for whenever I need it , wherever I am." Due to the family dynamic at work on this South West England farm it is crucial that everyone has their input on farm management. The fact that Herdwatch can work on multiple devices means that Jackie, Will and sons, George and Dave can all have the app on their own individual phones. With this the family can save time by each updating their area of the farm , and no one person is left responsible for all the farm's management. "It's a family dynamic we share the work load to increase efficiency." You too can join Jackie and over 8,000 happy farmers saving time on farm paperwork and managing their farms more efficiently. 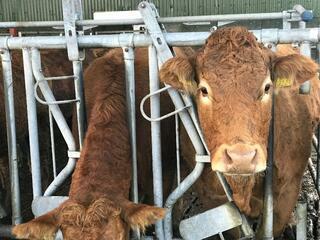 Try Herdwatch for FREE for and see the benefits for yourself.